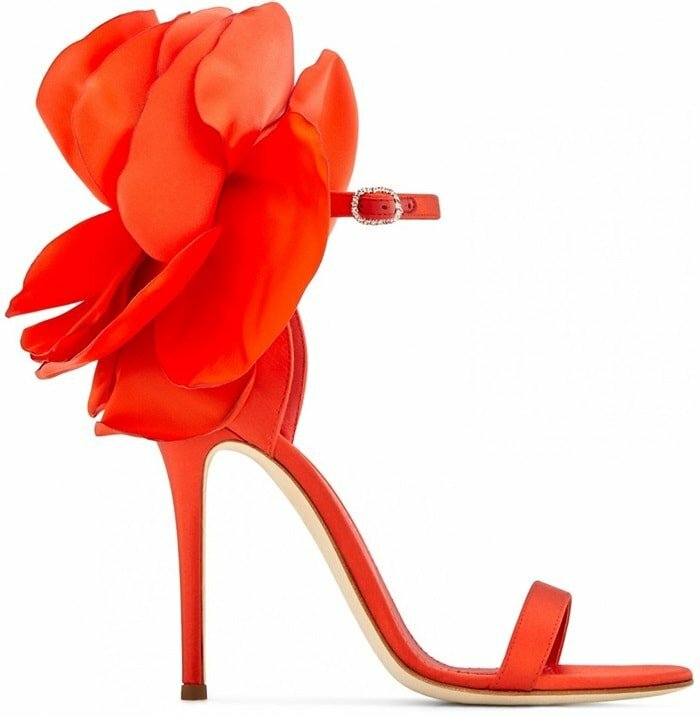 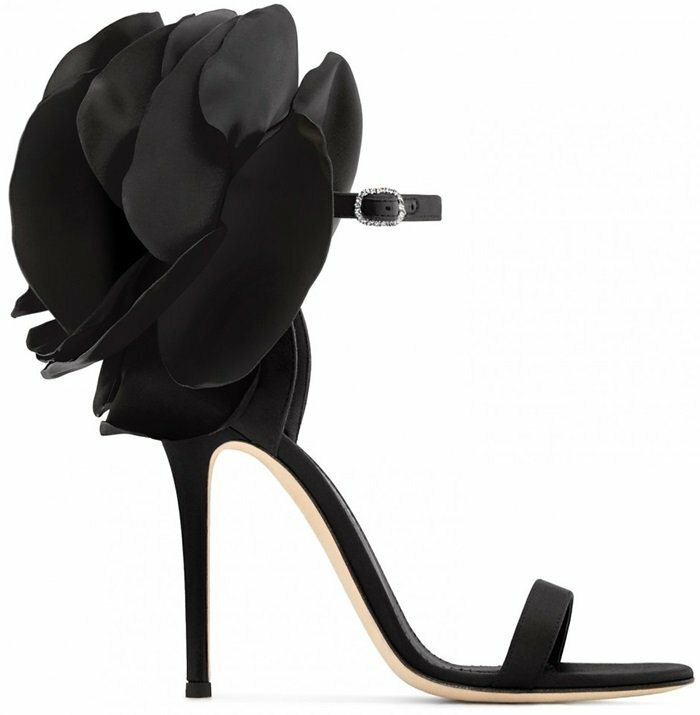 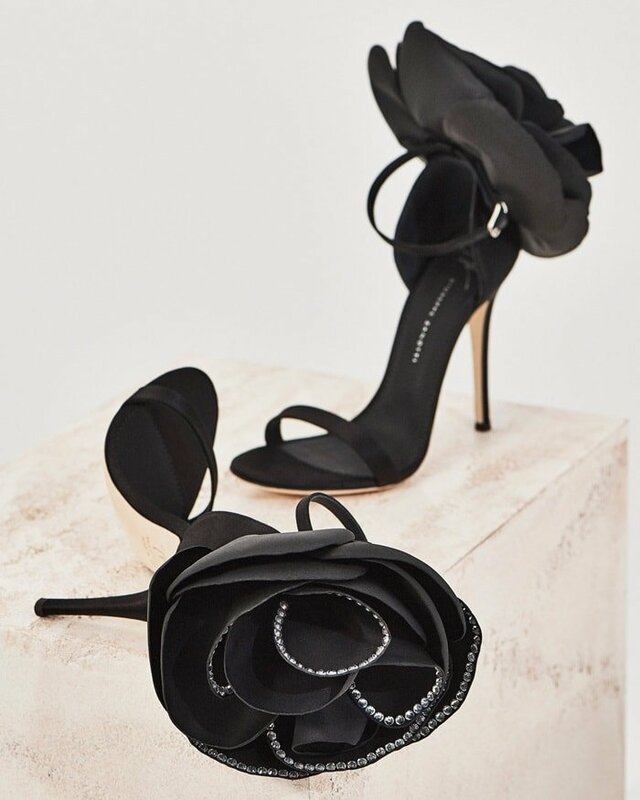 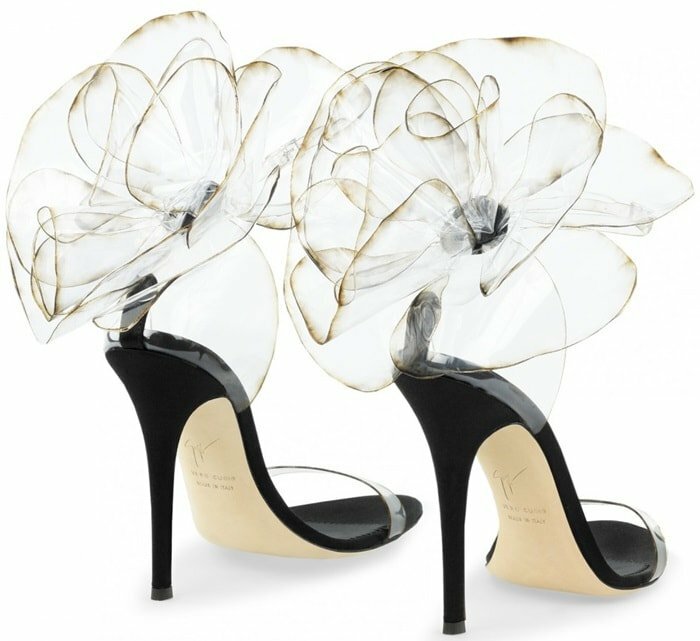 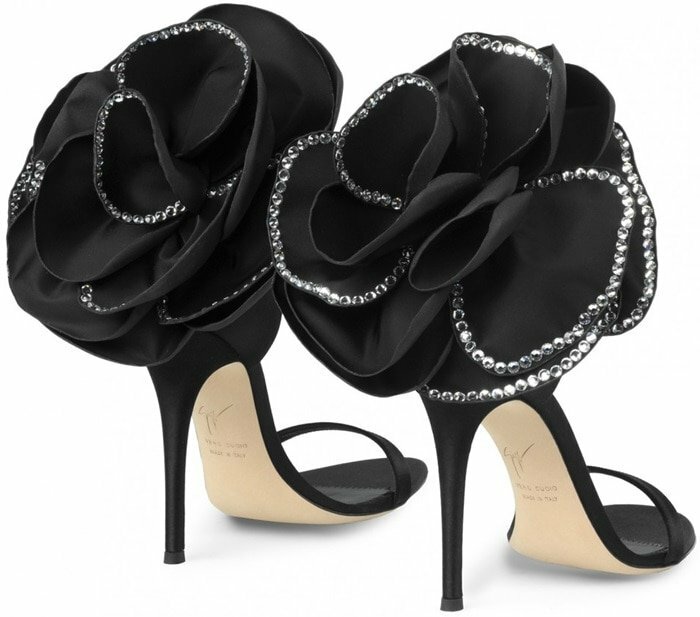 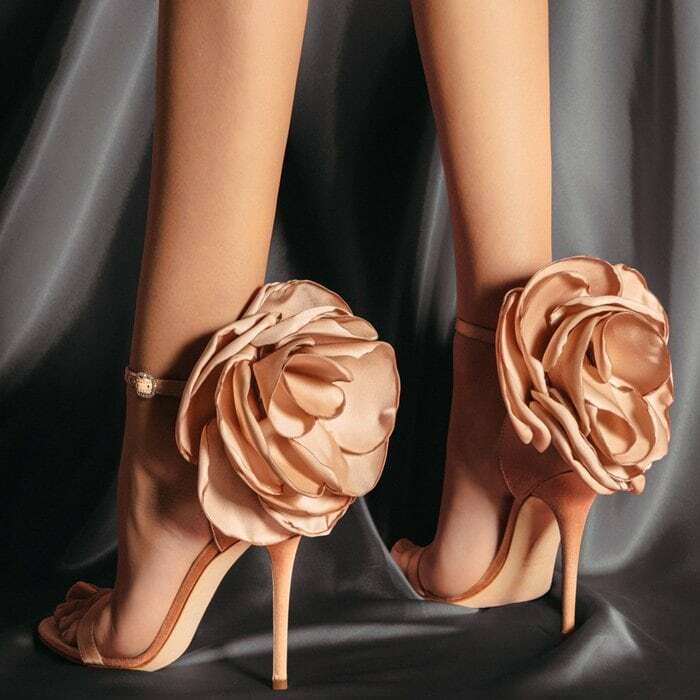 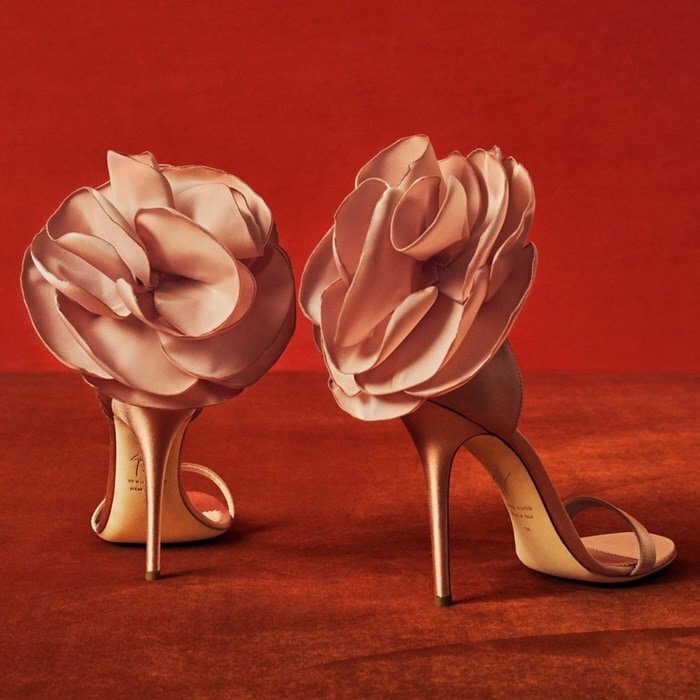 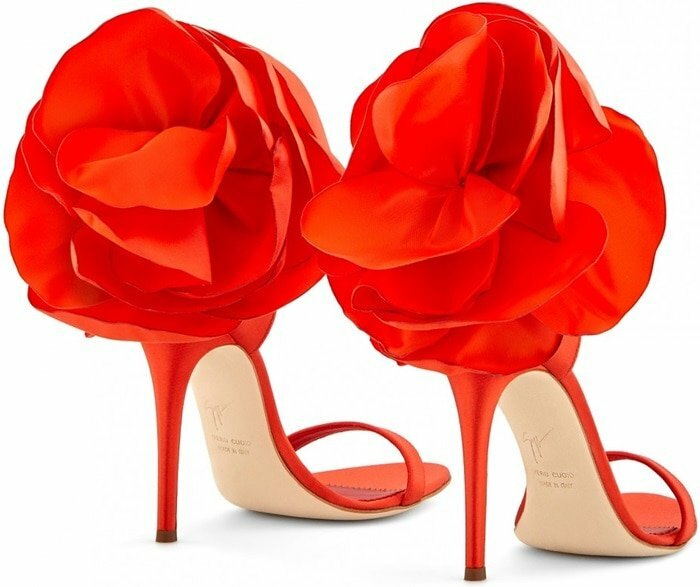 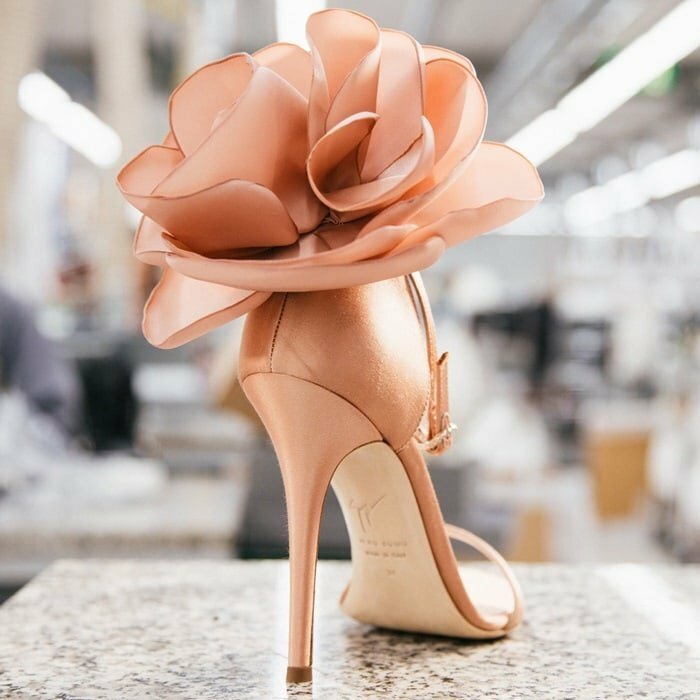 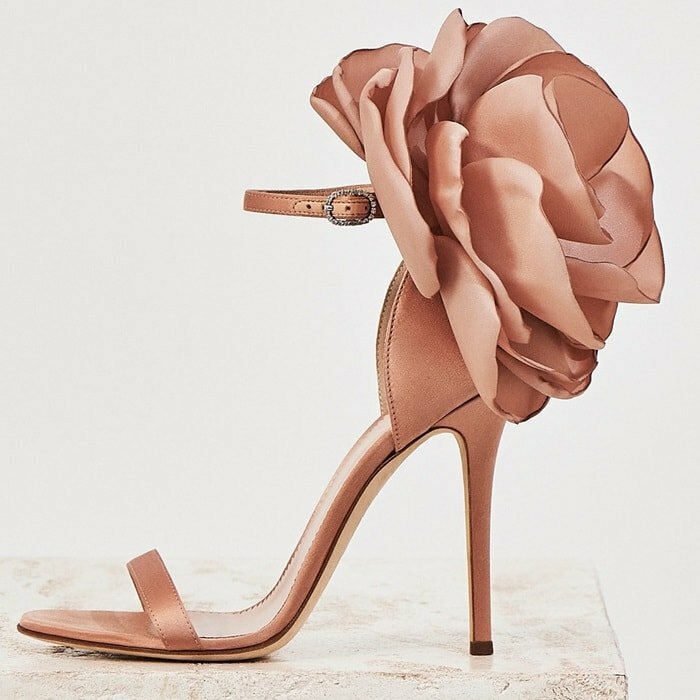 The petals of a silk flower add flamenco-style drama to a stunning stiletto sandal from Giuseppe Zanotti that you can purchase in black, crystal-embellished black, transparent, red, and pink satin at Farfetch, GZ Design, Nordstrom, and Saks Fifth Avenue. 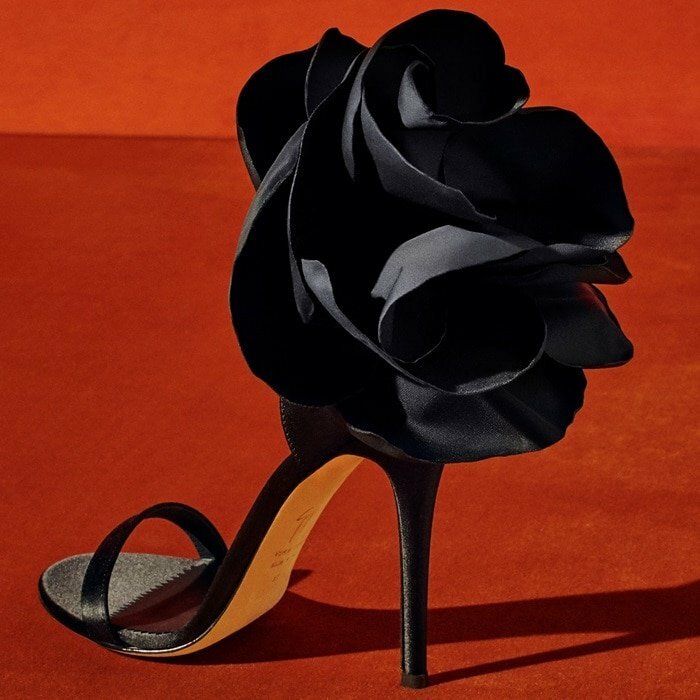 This luxe silk sandal flaunts a dreamy layered floral appliqué while a crystal buckle lends starry sparkle to the ankle strap. 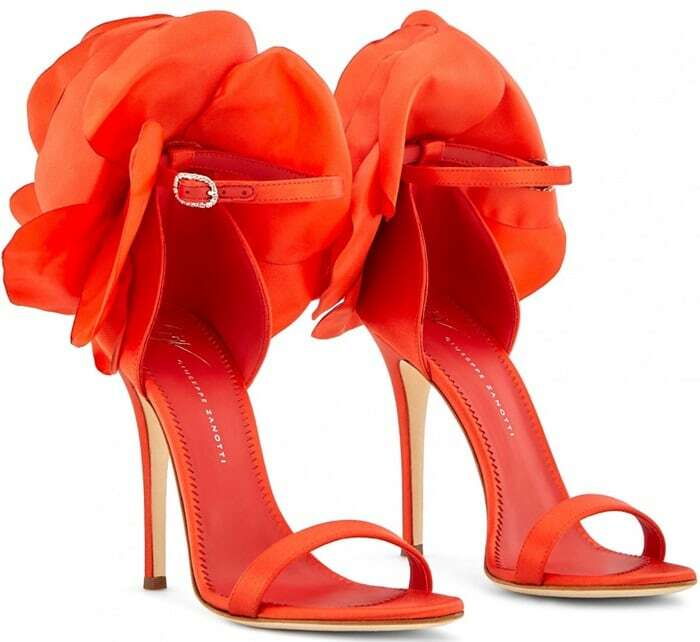 We’ll also show you how Kat Graham styled hers at the 2019 iHeartRadio Music Awards. 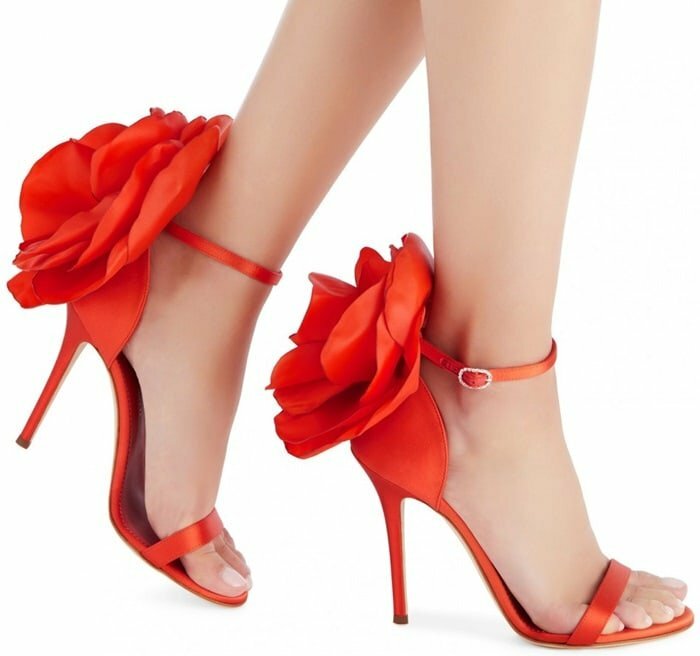 Which color do you want? 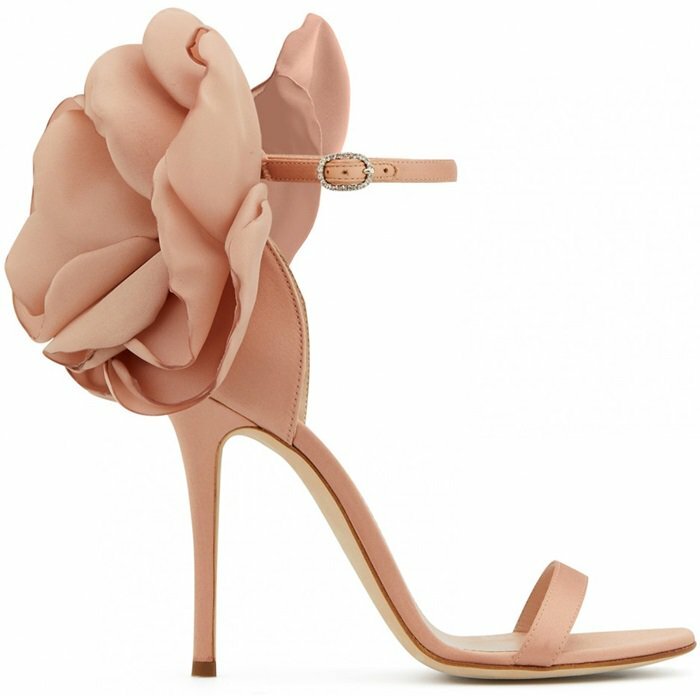 These sandals are made from pink satin, set on a stiletto heel, and fasten with an ankle strap. 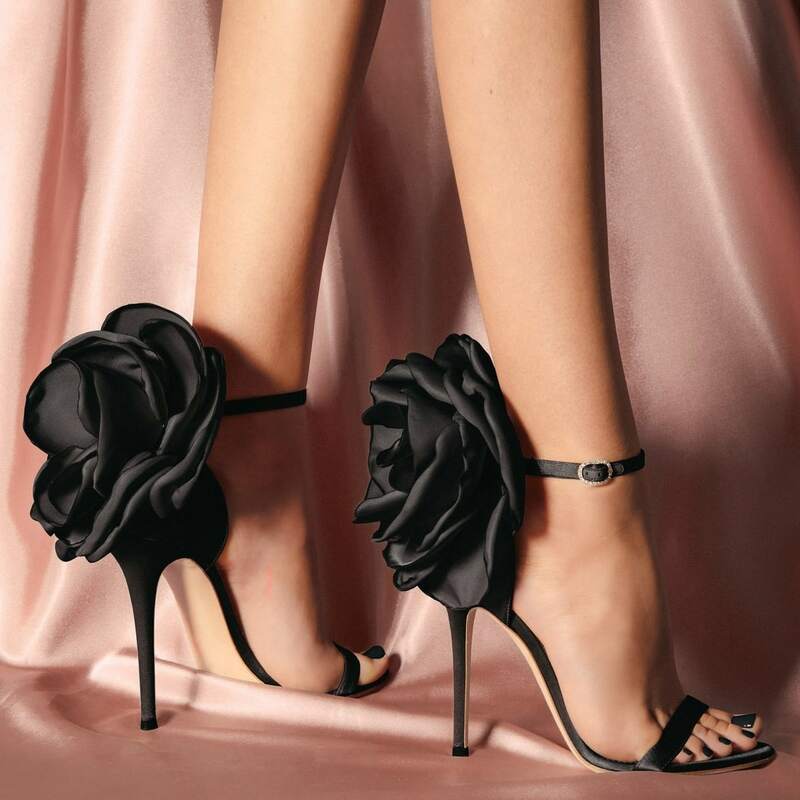 The oversize peony flower on the back adds a bold touch. 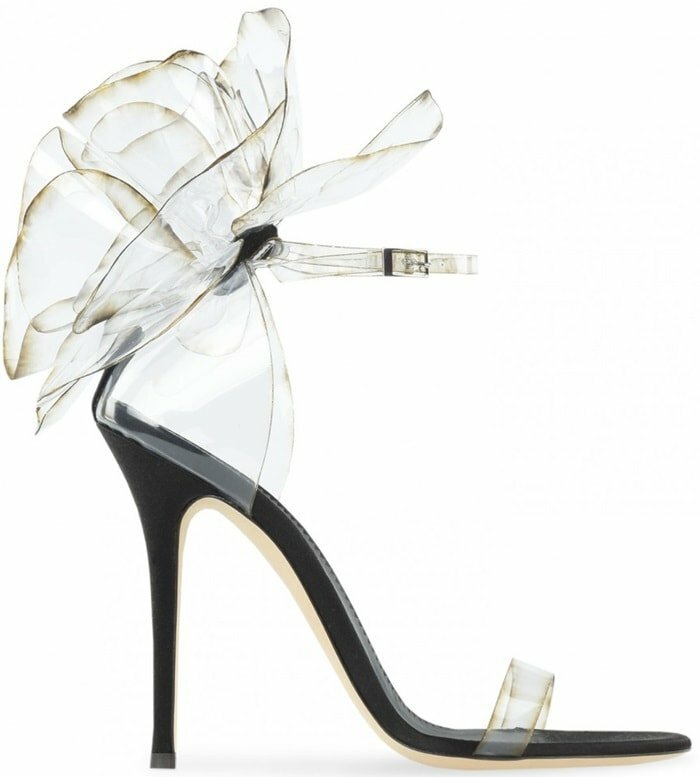 These couture sandals are made from transparent vinyl with inserts in black satin and suede. 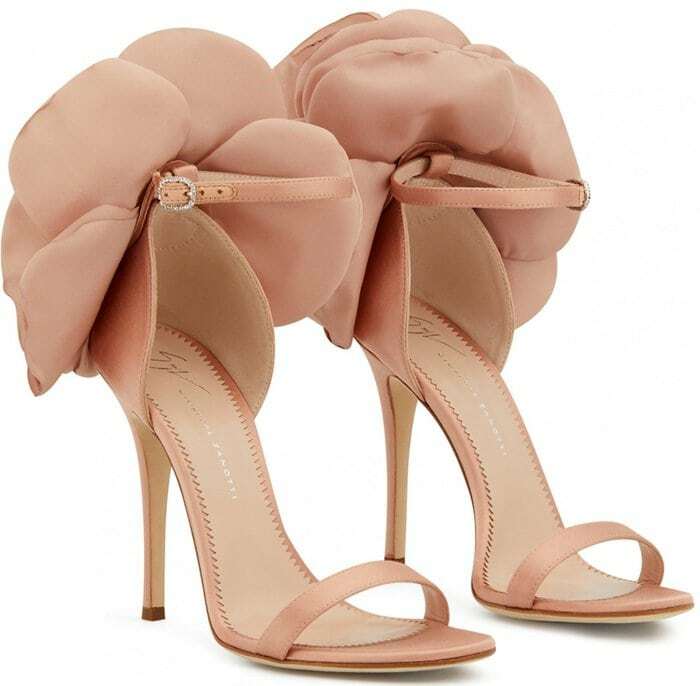 Kat Graham wore them with a white Alberta Ferretti shirt and Philosophy Di Lorenzo Serafini high-waisted leather pants to the 2019 iHeartRadio Music Awards at the Microsoft Theater in Los Angeles. 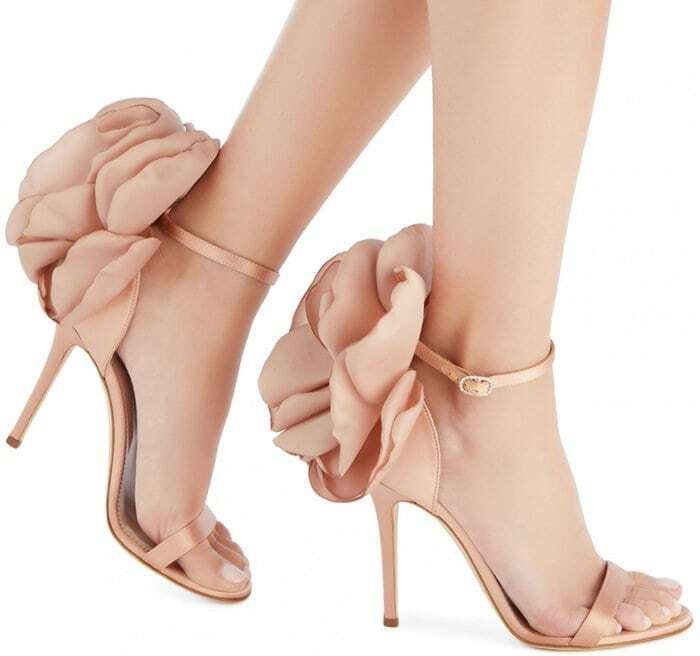 She was joined on the red carpet by Poppy, Taylor Swift, Heidi Klum, and Katy Perry.